Gone to See America 2006 Driving Tour. Day 11: Lake Chelan, Washington. 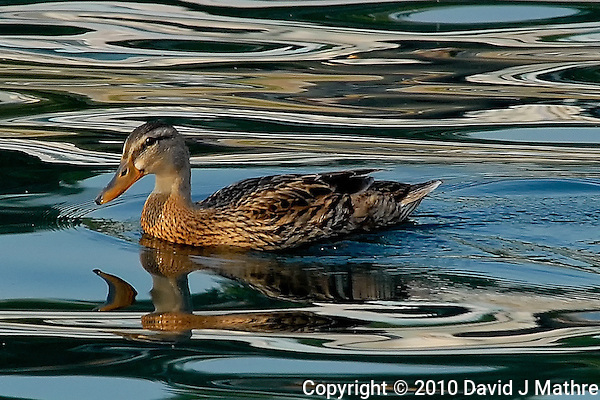 Female Mallard Duck on Lake Chelan in Washington from rear deck of the Lady of the Lake Ferry. Image taken with a Nikon D200 camera and 80-400 mm VR lens (ISO 400, 400 mm, f/9, 1/320 sec). I took this image with my first DSLR while driving across the country back in 2006. I really like the catch light in the eye, and the ripples and reflections. This image is one of the reasons that I decided to spend more time with photography.